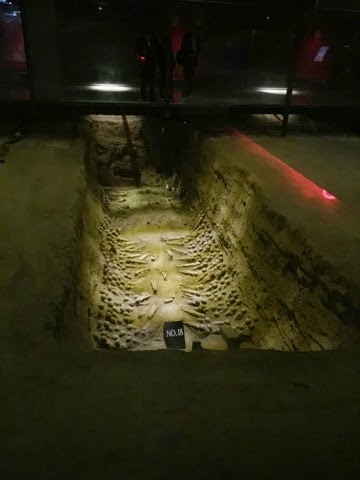 Our last stop, conveniently close to XIY, was at this largely underground museum, the mausoleum of Liu Qi, a Han Dynasty emperor, and his wife, Empress Wang. 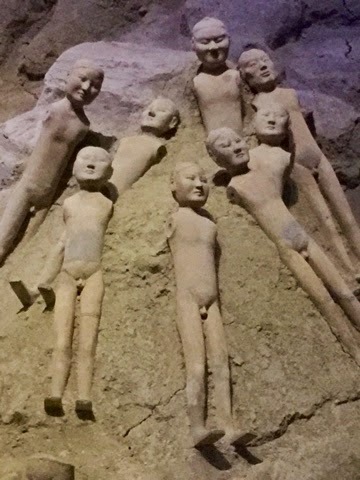 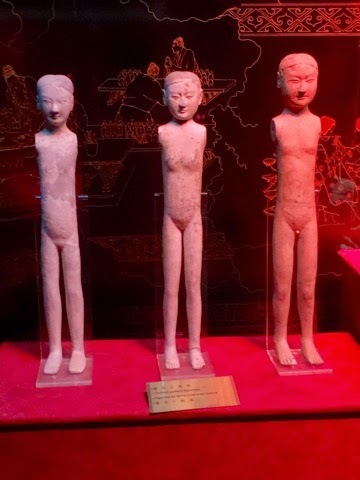 For fairly casual visitors like us, one of the most interesting sights is the miniature army of warriors in the tombs, reminding us a little of space aliens. 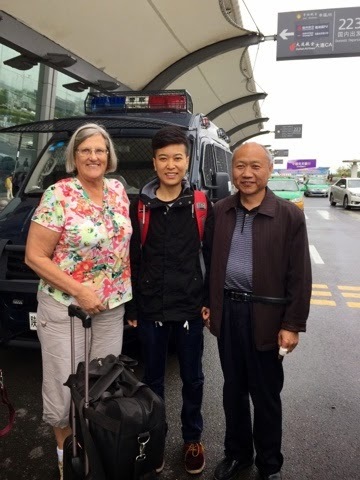 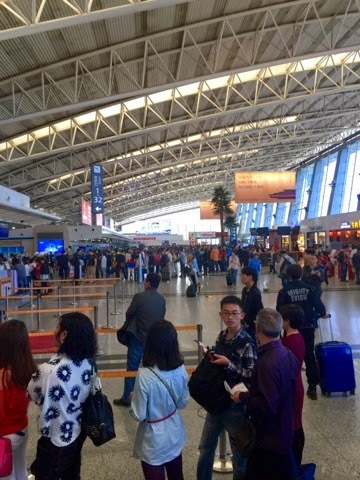 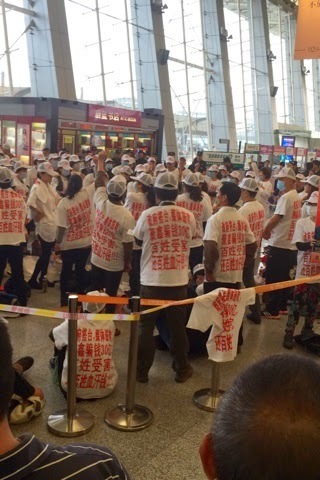 Then it was onward to the airport, goodbye to Timo and Mr. Wong, and checking in at counter as some kind of demonstration was occurring under the watchful eyes of a large number of uniformed security personnel.